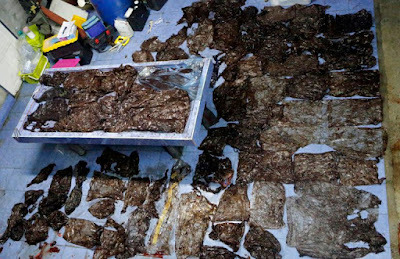 Upsetting photographs show the shocking result of pollution on a whale that starved to death because it had swallowed 80 plastic bags. 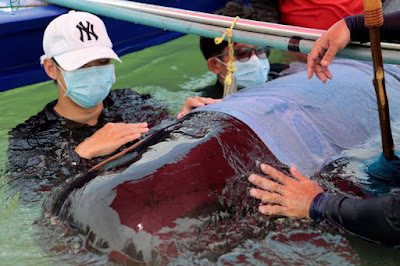 The pilot whale was barely alive when it was found by rescuers in a canal near Thailand’s border with Malaysia. 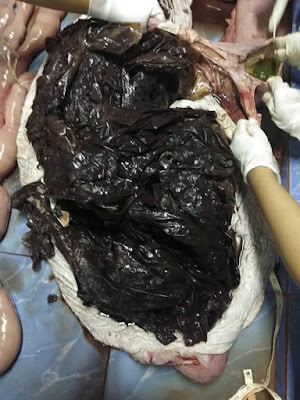 The whale was described as ’emaciated’ and had struggled to eat because its stomach was so full of plastic. It vomited up five bags during rescue attempts which proved fruitless, as the animal died a short time later. 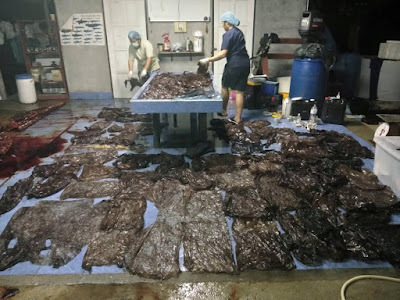 One of the surgeons tasked with trying to treat the whale said it was the worst case of an animal dying due to plastic pollution she had ever seen.